TOILET NIGHT LIGHT THAT FITS ANY TOILET! Flexible rod that can take the shape of any type toilet and stay in place. 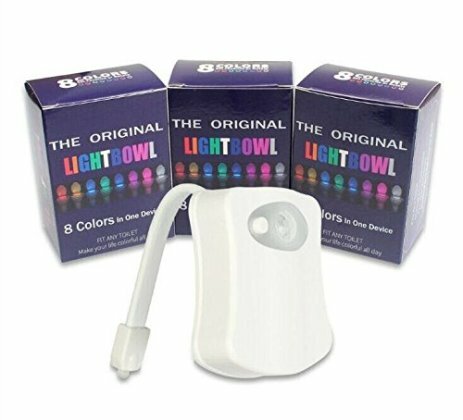 MOTION ACTIVATED NIGHTLIGHT that detects motion and turns on upon your presence. 8 DIFFERENT COLORS THAT ROTATE FOR FUN! GREAT FOR POTTY TRAINING and also prevents a messy floor!